Will she ever stop writing about meadows, you ask. The answer is “no.” I keep learning more about converting mowed lawn to meadow. I will not stop sharing these ideas until suburban Delaware has converted most of the lawn space (except gathering spaces, paths and play areas) to some other type of planting. Meadow is one of the best alternatives to lawn because it is relatively inexpensive to install and while not maintenance free, does not require weekly mowing, like a lawn, or routine weeding, like a landscape bed. This week I saw three different beautiful meadows. 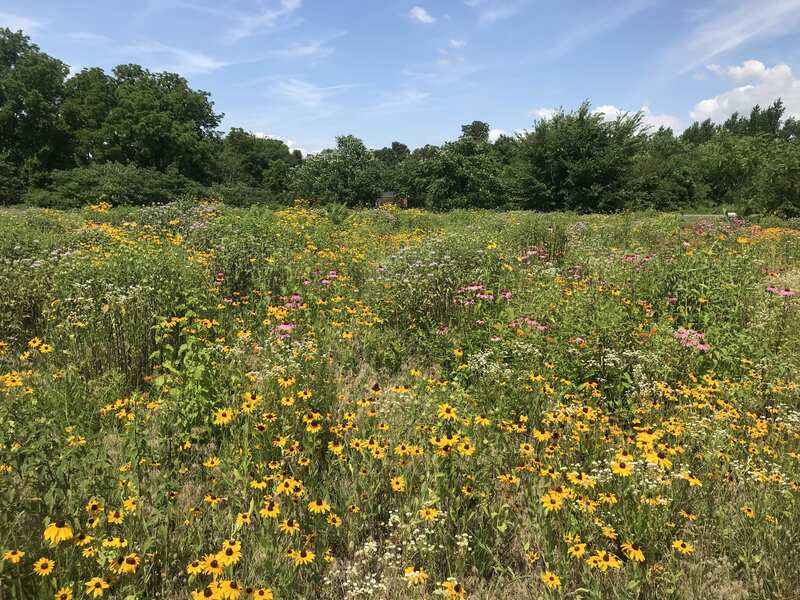 DelDOT is continuing to plant meadows to benefit pollinators, reduce mowing along the roadside and beautify the state with native plants. 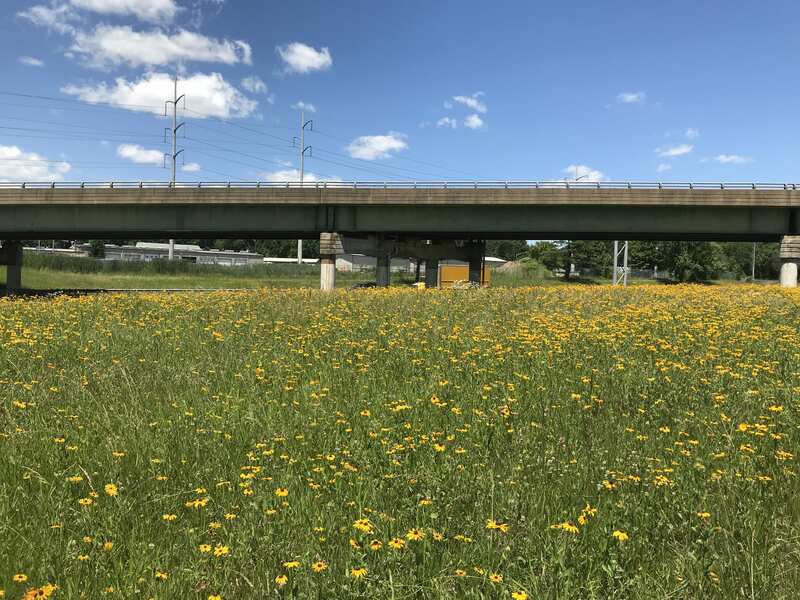 Two new meadows along I95 between Newark and Wilmington are blooming with black-eyed Susan, lance leaved coreopsis, butterfly weed and more. These were seeded in summer 2017 and are just starting to come into their own. Both sites are also planted with native trees and shrubs to provide a woody backbone. One site is just north of the I95 rest area and the other is on southbound I95 after the 141 exit. Check them out next time you are driving between Newark and Wilmington. Black-eyed Susan blooming in the DelDOT meadow at the north end of the rest area on I95. Working with summer interns from the Landscape Architecture program at UD, I had the opportunity to visit Laurel, DE. They have been using green infrastructure to revitalize the town, bring in tourism and provide ecosystem services to Laurel residents. Jules Bruck is working with a group of interns this summer to document the process of installing a planned wetland and seek SITES certification for the project. 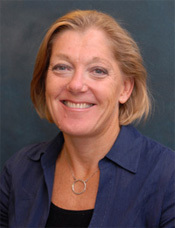 SITES is a national organization that certifies sustainable landscape projects, similar to LEED for buildings. A few years ago, Jules installed a meadow in Laurel and it looks fantastic after three years of growing pains. It really brings home the message that meadow installation often requires patience. It is important to set realistic expectations about what the meadow will look like in year 1, 2, 3, and 10! The Laurel meadow was seeded with many flowering perennials and includes very little grass, usually the backbone of a meadow. It meets the desires of Laurel residents with its colorful blooms. A wide variety of blooming perennials provide a riot of color in this Laurel, DE meadow. The third meadow I visited recently was at a friends’ house. They are amateur beekeepers and wanted a place for their bees to forage. 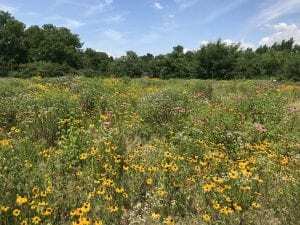 With the help of entomology graduate student, John Menz, they tried another approach for establishing a meadow. They had struggled with the “meadow in a can” concept last year and were unhappy with the results. 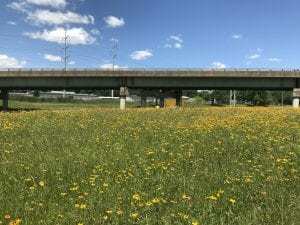 A bad nutsedge infestation among other weeds kept the meadow from fulfilling expectations. Menz suggested trying a cover crop, buckwheat. Buckwheat is a warm weather plant that grows in ordinary garden soil and has minimal nutritional needs. It germinates quickly and flowers in 5-6 weeks. Once seeds mature, it can be cut and tilled in. The brittle roots are easy to chop up with a hoe. Because of its dense growth, it can smother out even the most tenacious weeds. It has completely covered the nutsedge that was so prevalent in my friends’ meadow. The seeds should resprout and provide multiple crops in one year. I am curious to watch this approach to a small residential meadow develop over the next year. I will keep you posted as well! 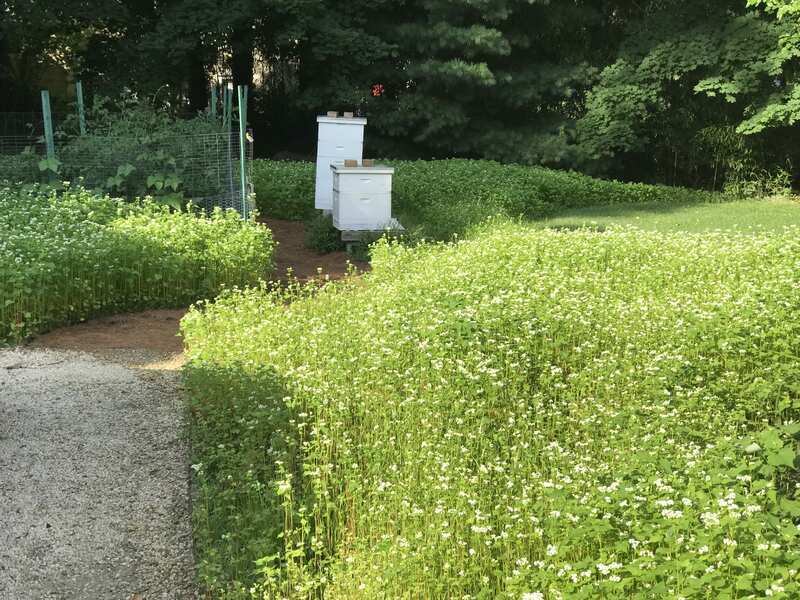 Buckwheat surrounding a pine needle path to a suburban garden and bee hive. Follow me on Instagram at sbartonhort.